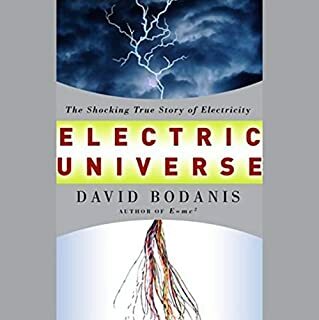 From the author of the bestselling E=MC2 comes a mesmerizing journey of discovery illuminating the wondrous yet unseen force that permeates our world and the scientists who've probed its secrets. Before 1790, when Alessandro Volta began the scientific investigation that spurred an explosion of knowledge and invention, electricity was perceived as little more than a property of certain substances that sparked when rubbed. Widely considered the greatest genius of all time, Albert Einstein revolutionized our understanding of the cosmos with his general theory of relativity and helped to lead us into the atomic age. Yet in the final decades of his life, he was also ignored by most working scientists, his ideas opposed by even his closest friends. In 1939, Richard Feynman, a brilliant graduate of MIT, arrived in John Wheeler's Princeton office to report for duty as his teaching assistant. A lifelong friendship and enormously productive collaboration was born, despite sharp differences in personality. The soft-spoken Wheeler, though conservative in appearance, was a raging nonconformist full of wild ideas about the universe. The boisterous Feynman was a cautious physicist who believed only what could be tested. Yet they were complementary spirits. Albert Einstein described Relativity as a "popular explosion" of his famous theory. Written in 1916, it introduced the lay audience to the remarkable perspective which had overturned theoretical physics. Einstein's genius was to express this perspective in understandable terms. No 20th-century American scientist is better known to a wider spectrum of people than Richard P. Feynman (1918-1988), physicist, teacher, author, and cultural icon. His autobiographies and biographies have been read and enjoyed by millions of readers around the world, while his wit and eccentricities have made him the subject of TV specials and even a theatrical film. Generations have grown up knowing that the equation E=mc2 changed the shape of our world, but never understanding what it actually means and why it was so significant. Here, Bodanis writes the "biography" of this great discovery and turns a seemingly impenetrable theory into a dramatic and accessible human achievement. Bodanis begins by introducing the science and scientists forming the backdrop to Einstein's discovery. Having demystified the equation, he explains its science and brings it to life; making clear the astonishing array of discoveries and consequences it made possible and its impact on our daily lives. At last, the masses can understand that Einstein did nothing less than open the door to the inner structure of the universe. "Audio Publishers, Please Take Note!" First, I agree with others that this book is an excellent introduction to aspects of modern physics. 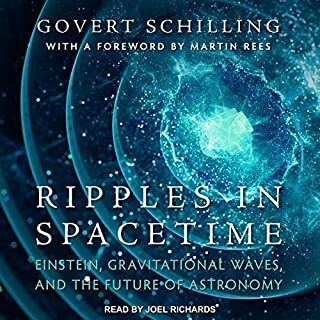 Instead of beginning with relativity, it uses very interesting historical episodes to place Einstein's famous formula within the larger history of the science of energy and mass, which makes a lot of sense. But I am writing mainly to note the reading, which should be a model for other publishers. Far too many Audible books are read by professionals at top speed or with histrionic overacting. This casually paced, natural reading is a tremendous aid in comprehension. Today's "media professionals" simply do not trust the written word and feel they must "add value" with dramatic antics, youthful over-enthusiasm, and the highest possible number words per second. Like restaurants that insist on cranking up the music they are terrified that someone might get bored. Some topics require a bit of chewy comprehension and this reading sets an ideal standard for such. A good introduction to that famous formula and related concepts. After listening to this, if you want more science for the layman you want to listen to the excellent "The Fabric of the Cosmos". I was amazed at how interesting the author could make this topic. Because you are reading this, you are interested in the subject; listen to this book...period! You'll not regret it. Outstanding. Spellbinding. 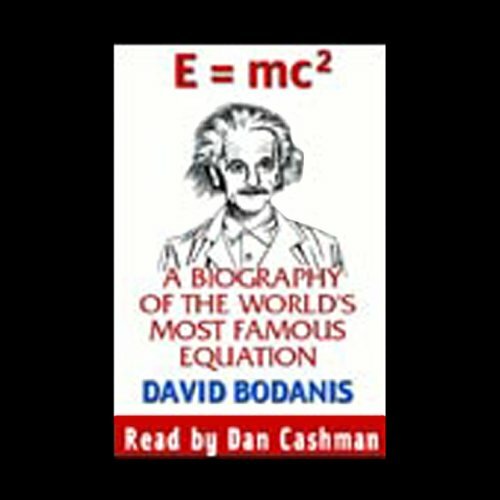 Terrific narrator and a book that combines the best in biography and history with the most compelling of basic physics. This book humanizes the equation and revited this listener. 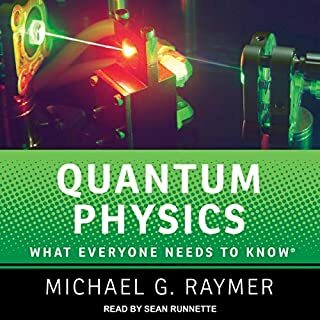 This is a great book for understanding not only the significance of E=MC2, but also in understanding the discoveries in the areas of energy, mass and the speed of light that led up to the development of the theory of relativity. Very interesting stuff! I would also agree with one of the other reviewers that the stories about the race to make the atomic bomb were quite facinating. Never realized how close the Nazis were to beating us to the punch. Great Audiobook! This is an excellent book to explain a well known, but little understood formula. It begins by explaining the history of each of the characters (E, M, C, = etc...) From there it goes on to explain how this formula relates to everything from an the A bomb, to the future of the solar system. 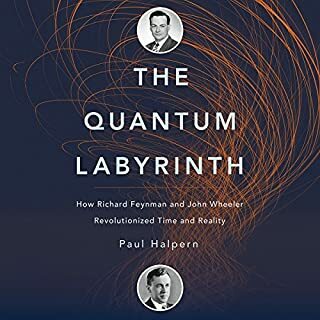 This book does a good job of trying to explain some very complicated ideas without getting to deep into the subatomic details. If you want a simple understanding, then this book is the right choice for you. One noticable flaw with hearing the book is the lack of illustrations and the often given reference to the authors website. If you have trouble reaching his site, do a search for the authors name (David Bodanis) and you'll find his site with all the information promised. 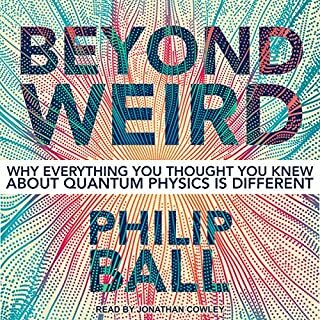 For those that can easily recognize E=mc2 as the theory of relativity, but never took high school physics, this book is for you. Step by step, building brick upon brick, you develop an understanding of exactly what this powerful equation really means. If Einstein had only discovered that E=M, I would be happy. But how did he make the fantastic leap of understanding that required the square of light speed? And why? 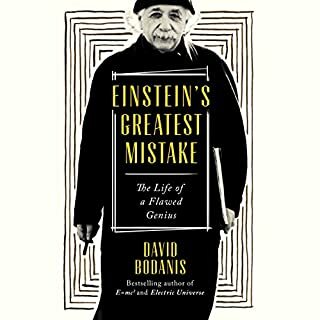 Mr. Bodanis does a nice job of linking the scientists and their key discoveries that laid the foundation of Einstien's incredible equation. I think I finally, almost, sort-of, begin to understand it ... maybe. The fun is in the discovery. I enjoyed this treatment of the great equation. The history included was fascinating. He doesn't seem to mention that chemical energy also has some relation to mass change. In spite of this it is well worth the read. It gives some memorable insights into history. Narrator Dan Cashman chalks up another win as one of the finest in the field. Team Dan up with a good writer like Bodanis and you have an enjoyable and educational experience. This is what audiobooks are all about. The genre known as "pop" science often gets unfair treatment by professionals. Members of the scientific community forget it is OK to be entertained while learning. This audio program will not earn you a doctorate in physics but will stimulate your mind more than John Stossel ever could.